I was able to get out to the range last night and try out my new Z5-RS. Mine has some mag wobble that was posted about previously and I wanted to get it to the range before contacting Zenith about it. I loaded up 10 rounds of 124gr NATO in a mag, and put them down range with no issue. From there, I rotated through all the mags the pistol came with and shot about 100 rounds through it with no hiccups or drama. I didn’t try to wiggle the magazine while shooting since I didn’t want to accidentally slip and put a round in the ceiling. Everything shot as smoothly as one would expect from any MP5, either HK or clone. The pistol is hard to shoot without a brace or SBR conversion. Thankfully I have a brace on the way and one of these days will file the paperwork to put an A2 stock on it. Last night’s range trip was basically a quick function test of a new firearm. And that function test went well! Marine0303 and gt40doc like this. Congrats! Those Zeniths are a ball to shoot and with little practice you'll be shooting one ragged hole in no time, even with irons! Enjoy! Thanks for the report--- nice placement!!! It’s a fun little gun for sure. It’s pretty awkward to shoot without a brace or stock. I was hoping that my brace would have arrived by now but it should be here soon. Mr. Data, please active your humor chip. 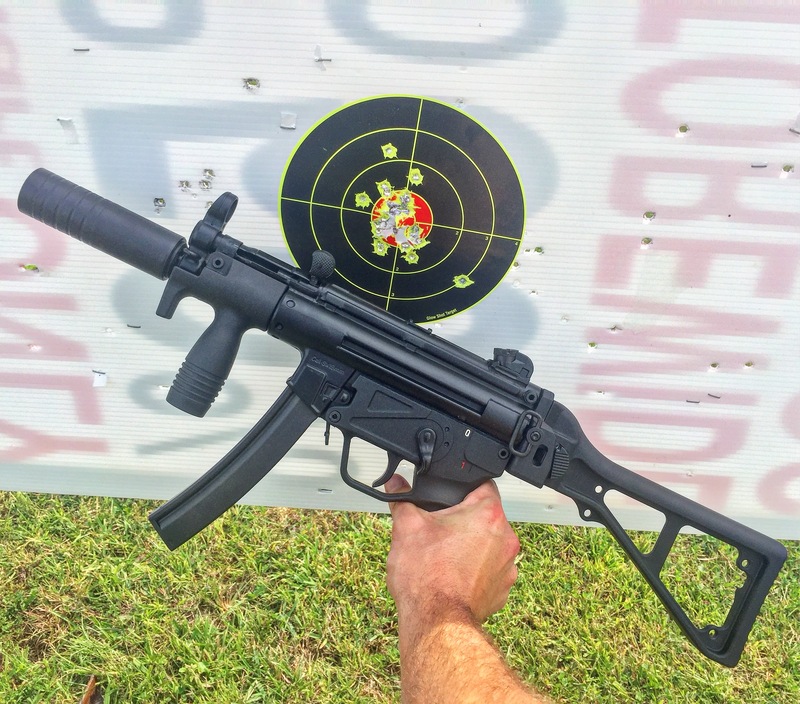 we've got three full auto MP5's in our armory that no one is issued. Two of which were converted to fire simunition rounds. they all have about a 1/4 inch of mag wobble but all run flawlessly. I am a much better shot with the A2 as it just fits/feels better for me.......Enjoy!